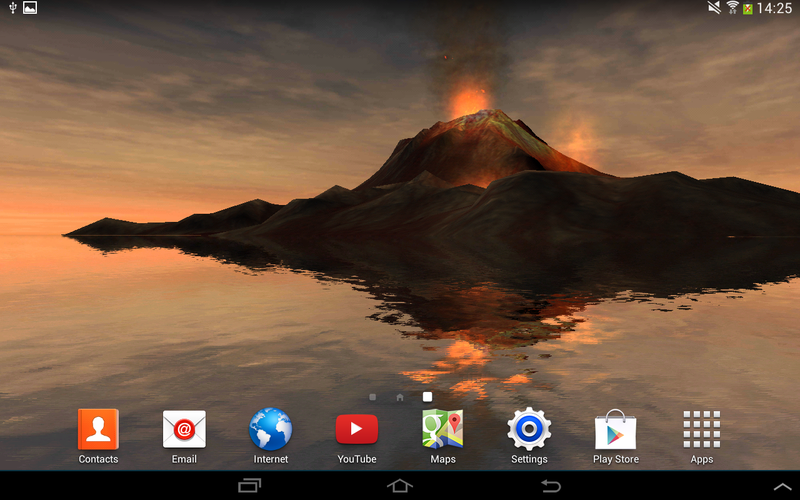 3D Volcano Live Wallpaper FREE is a simple live wallpaper app. It shows a scene with an erupting volcano island viewed from the surface of an animated ocean. This live wallpaper is well done. The resolution is sufficiently high and especially the water animation looks natural. An alternative design rounds the free version out. Additional designs and more options are available in the paid full version. Ideas for further improvement: The volcano appears a bit too edged at some points. Furthermore, a dynamic sky box would be nice. 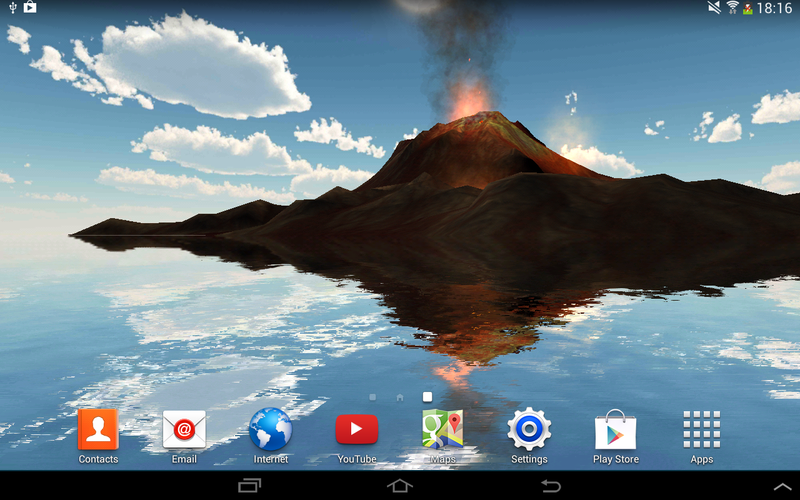 This entry was posted in Android, App Review and tagged app review, wallpaper. Bookmark the permalink.